Further information about CSI email accounts is available from the Office of Technology Systems (OTS). 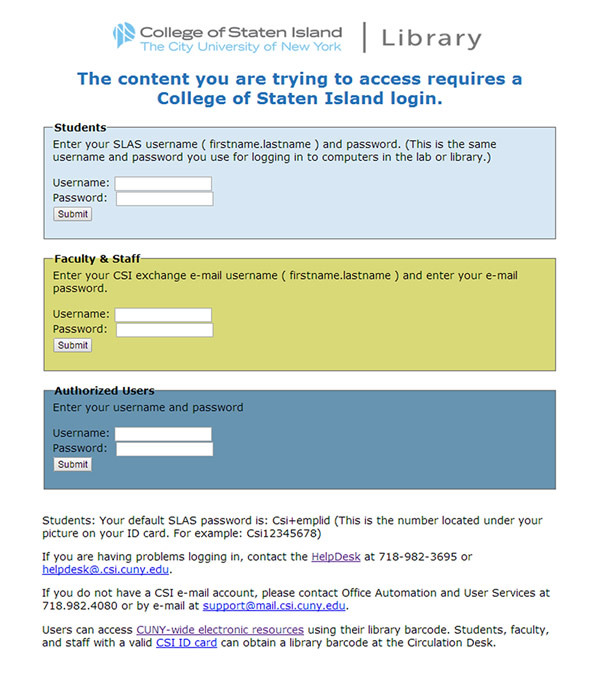 If you do not have a CSI email account or do not know your email login, please contact the HelpDesk at 718-982-3695 or Office Automation and User Services at 718-982-2162. Users can access CUNY-wide electronic resources using their library barcode. Students, faculty, and staff with a valid CSI ID card can obtain a library barcode at the Circulation Desk.